The San Bernardino County Library- James S. Thalman Chino Hills Branch made history by circulating 1 million items to the Chino Hills community during this past fiscal year, 2017-18. This is the first time in the 104-year history of the San Bernardino County Library that a single branch library has checked out over 1 million items. Contrary to trends throughout the nation showing decreases in library usage the interest in libraries throughout San Bernardino County continues to grow and Chino Hills is a prime example with this recent accomplishment. Over the course of the last year, the Chino Hills Branch Library has held a number of events to increase community participation and showcase new materials at these events which included a New Book Festival, Library Luau, Super Hero and Galaxy Event along with base programming for babies through adults. The entire San Bernardino County Library system, comprised of 32 branches, also continues its growth trends checking out over 5.5 million items this year alone, up from the 2.5 million circulated in 2013. This achievement has been supported by diligent planning and deliberate efforts to increase and maintain a modern, relevant and accessible collection by library staff and administration. In honor of the James S. Thalman Chino Hills Branch’s accomplishment, a community event will be held on Tuesday, July 31 from 4 to 7 p.m. at the Chino Hills Library which will include crafts, a live DJ, jumbo Lego blocks, opportunity drawings for prizes, and a visit from Buzz Lightyear. Please join us for this exciting celebration and come see what the Library has to offer. San Bernardino County has been named one of the nation’s top technology counties by the Center for Digital Government and the National Association of Counties, who recently announced the winners of the 15th anniversary Digital Counties Survey. San Bernardino County won sixth place among U.S. counties with 1 million or more residents. 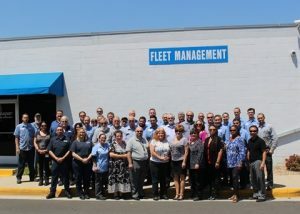 For the 13th time in the past 14 years, San Bernardino County Fleet Management has been named one of the 100 Best Fleets in North America, coming in 23rd place this year. The 100 Best Fleets competition recognizes fleet operations that perform at a high level using industry recognized processes and procedures, key performance indicators and best practices. The 100 Best Fleets results are announced every year at the National Association of Fleet Administrators Institute and Expo conference. The approximately 100 men and women of San Bernardino County Fleet Management provide acquisition, maintenance, repair, modification, and disposal services for the majority of county vehicles and equipment. Fleet Management’s main garage in San Bernardino includes four shops: automotive, heavy duty, welding/metal fabrication, and generator services, as well as a parts room and fueling station. The department also operates five smaller service centers in Barstow, Hesperia, Needles, Rancho Cucamonga and Twentynine Palms and 60 strategically located fueling sites. Additionally, Fleet Management operates a motor pool, which has ownership and/or maintenance and replacement responsibility for approximately 1,940 vehicles and pieces of equipment assigned to or used by county departments. County Fleet Management is on a roll. 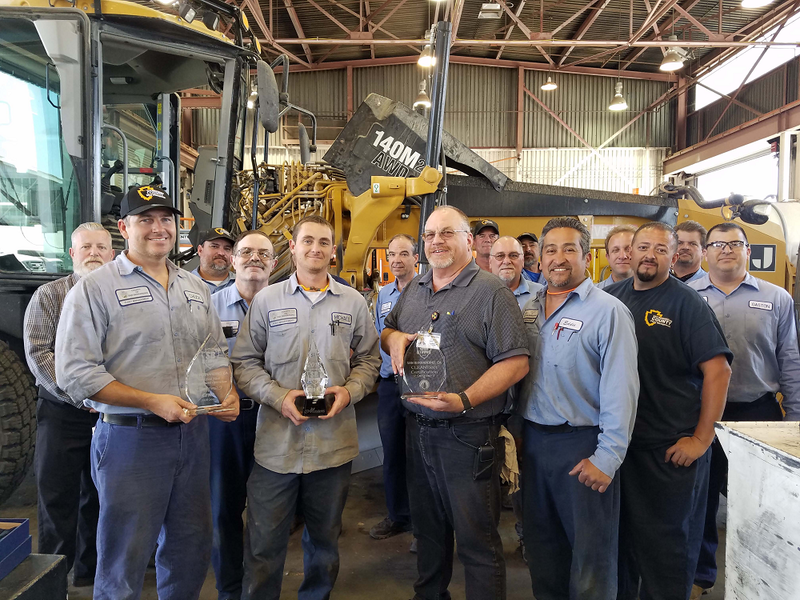 San Bernardino County earned the top spot for showing leadership with staff, with customers and within the community; staying efficient and competitive; overcoming challenges; and having a vision and direction for the Fleet Management operation. Falling in closely behind San Bernardino County were the counties of Riverside, San Diego, Ventura and Sacramento; the cities of Long Beach, Anaheim, Oakland and Beverly Hills; and other notables including New York City, Boston, Houston, Milwaukee and Indianapolis. San Bernardino County was also recognized as one of five fleets nationwide for its completion of the Certified Fleet Management Operation (CFMO) program and CLEANFleet program. 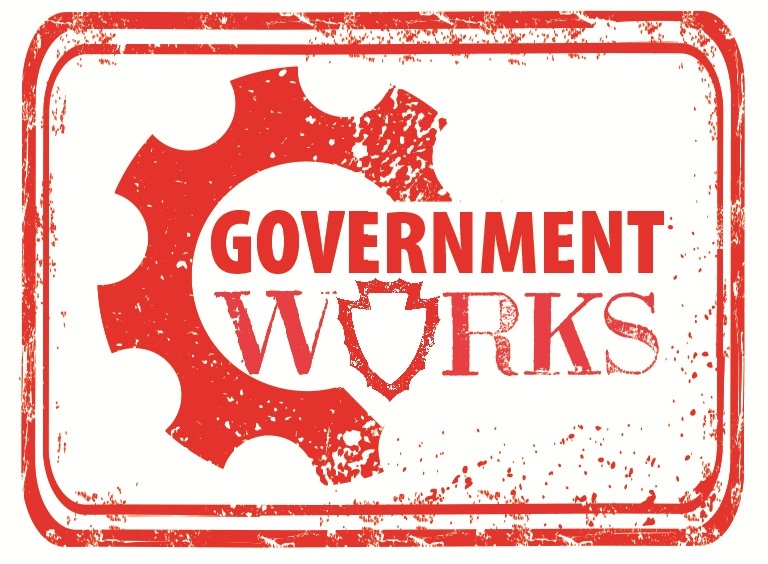 The CFMO certification benchmarks fleet practices against private-sector companies with which the public-sector group competes most directly. The certification testing process addresses 20 categories and eight foundation categories to ensure fleet management success and aims to make a fleet operation cost-effective, efficient, competitive, and well-managed. The CLEANFleet certification ensures fleet operations are energy-efficient and environmentally responsible. The County of San Bernardino was honored on June 8 as “Employer of the Year for a Small Company” by the Inland Empire Chapter of the International Right of Way Association. Although San Bernardino County is the Inland Empire’s largest employer, fewer than 30 of the county’s 22,000 employees work on right-of-way matters, thus the “small company” designation. Caltrans received the large company honors this year. 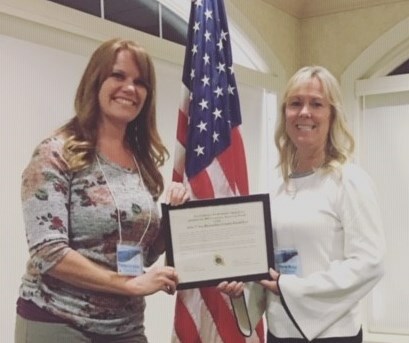 Also, County Real Estate Services Manager Marilee Rendulich earned the annual President’s Award, and Real Property Agent Nancy Summers earned the Senior Right of Way Professional Designation. This designation is the highest achievement that can be earned and requires approximately 200 hours of coursework related to the right of way industry. It typically takes about five years to achieve this designation. Pictured is the County’s Real Estate Services Acquisitions/Right of Way Team, left to right, Real Property Agent Michele Cohn, Real Estate Services Director Terry Thompson, Real Estate Services Assistant Director Janet Lowe, Kelley, Rendulich and Summers. Other team members present were Real Property Agents Brandon Ocasio and Jennifer Goodell. The International Right of Way Association is a professional organization comprised of global infrastructure real estate practitioners. 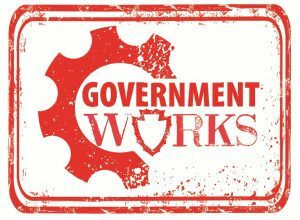 IRWA serves professionals who acquire, manage and transfer the land rights needed for building and maintaining energy and transportation infrastructure. The County’s Graphic Design Unit won nine bronze “ADDY” awards from the Inland Empire American Advertising Awards held on March 18 at the Mission Inn in Riverside. The American Advertising Awards is one of the largest advertising competitions in the nation. Thousands of advertising and design firms – both private and public sector – enter this prestigious industry competition. This was the first time the County has entered the competition. Click here to view the Graphic Design Unit’s winning artwork, which includes the County logo and the SB Strong logo. 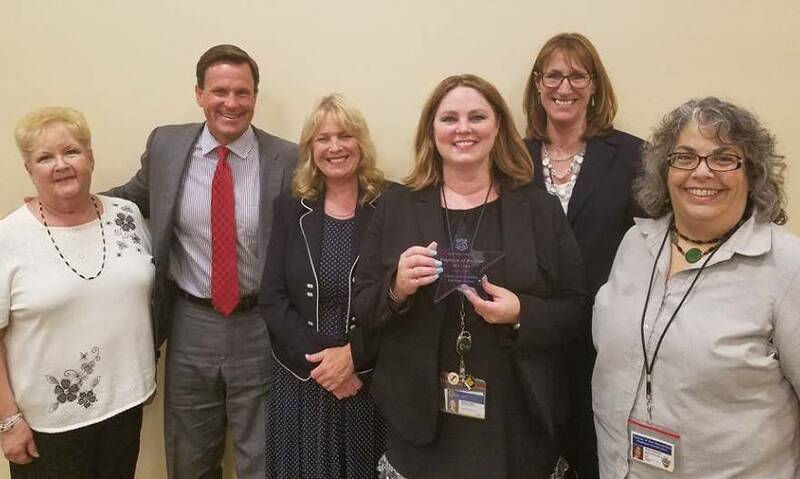 An innovative program to assist restaurants and other food facilities in reducing health violations in San Bernardino County was recognized by the National Association of County and City Health Officials (NACCHO). The Health Education Liaison Program, which was implemented in 2012, was one of 19 programs nationwide and the only program in California to receive NACCHO’s prestigious Model Practice Award. The Department of Public Health’s Division of Environmental Health Sciences (DEHS) developed the program because critical violations, if left uncorrected, can directly contribute to foodborne illness, posing significant risks to public health and safety. As part of HELP, low-scoring food facilities are offered a focused one-on-one consultation with an experienced Registered Environmental Health Specialist. During the consultation, the HELP consultant makes recommendations that are tailored to meet the needs of each food facility. A final report is sent to the facility addressing any areas of concern and recommendations to maintain long-lasting results and compliance. HELP is also offered to new facilities wanting to understand health and safety regulations. The Board of Supervisors acknowledged DEHS for winning the award at a special presentation on Aug. 11. “This award is in recognition of the working partnerships between Environmental Health Services and food facilities throughout San Bernardino County”, said Board of Supervisors Chairman James Ramos. HELP is now part of NACCHO’s online, publicly-accessible database of innovative best practices across a broad range of public health areas. The services offered by DEHS are in line with the Countywide Vision to protect the health and safety of residents and visitors. Information on the Countywide Vision, Job Statement, and Paradigm can be found at www.sbcounty.gov/vision. To learn more about HELP and other DEHS services, please visit our web page at www.sbcounty.gov/dph/dehs or contact us at (800)442-2283.